We highly recommend Pam based on our personal experience. She is very personable, professional, and likeable. She gives you the kind of ride you really want, and her rates are very reasonable. She knows a lot of places to go that aren't readily known. Care is given to both horse and rider. Please click here to view her website. 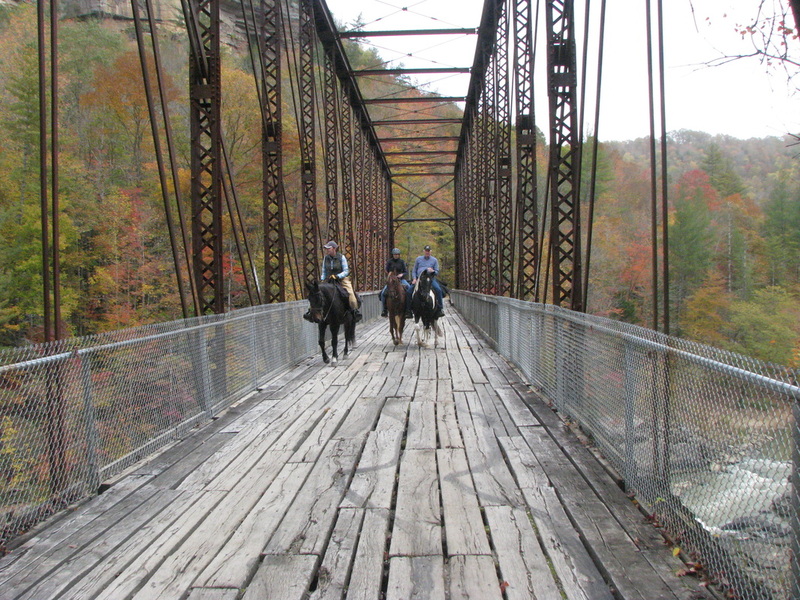 Pam safely guiding us across the O & W railroad bridge.